Balcony Terror has the great number of players, over 41,000,000 counts and 77,000 votes, is available on the site Total Jerkface Happy Wheels. 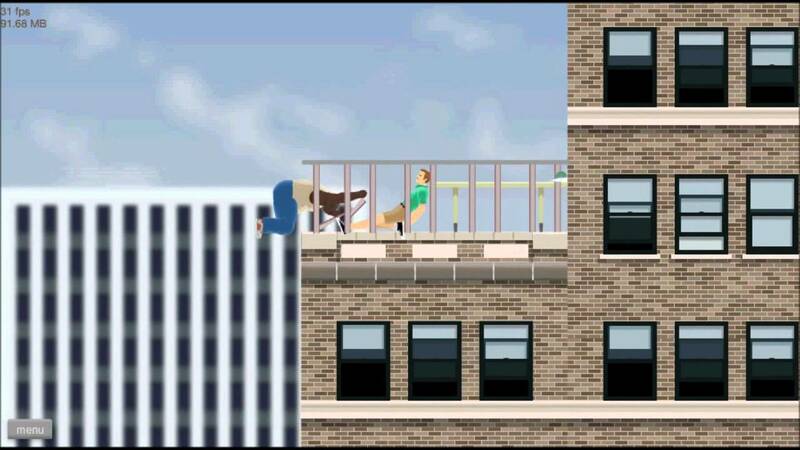 Created by Corey 1987, Balcony Terror is the funny level with the scary launching. You will start the mission on the top of the building. Once you fall, you can see a lot of people standing at the balcony. They are very happy about the party, sunbathing and other actions. But there are some dangers such as the armed Wheelchair guy o the first floor. He has the gun and wearing the white hat. Maybe he is in the Ku Klux Klan. In Balcony Terror, you can see the finish line. But you will have a van, the irresponsible dad, his son and the Moped guy. It is possible to fly or jump over the second building. Sometimes, you can hear the sound of the lawnmower because there is a Lawnmower Guy on the other side. Okay, can you get ready to play Balcony Terror? Remember to catch up the news for this game! Thanks!